Transcriptional factors, OCT3/4 (POU5F1) and STAT3 function as key regulators in maintaining pluripotency of stem cells. Thus, POU5F1 and STAT3 have been widely used as molecular markers of pluripotential stem cells. Pluripotential cell-specific Nanog gene is a newly identified homeodomain-bearing transcriptional factor. Importantly, Nanog is expressed specific to early embryos and pluripotential stem cells including mouse and human embryonic stem (ES) and embryonic germ (EG) cells. It is a key molecule involved in the signaling pathway for maintaining the capacity for self-renewal and pluripotency, bypassing regulation by the STAT3 pathway. Therefore, Nanog is one of the molecular markers suitable for recognizing the undifferentiated state of stem cells in the mouse and human. Store at +4°C for short term use. Aliquot and store at -20°C or -80°C. Avoid repeated freeze / thaw cycles. Du, Dongshu, and Xiangxin Lou. “Generation of induced pluripotent stem cells from neonatal mouse cochlear cells.” Differentiation (2014). Inada, Yutaka, et al. “Cell and tissue-autonomous development of the circadian clock in mouse embryos.” FEBS letters 588.3 (2014): 459-465. Izumikawa, Tomomi, Ban Sato, and Hiroshi Kitagawa. “Chondroitin Sulfate Is Indispensable for Pluripotency and Differentiation of Mouse Embryonic Stem Cells.” Scientific reports 4 (2014). Kowno, Megumi, et al. “Prohibitin 2 Regulates the Proliferation and Lineage-Specific Differentiation of Mouse Embryonic Stem Cells in Mitochondria.” PloS one 9.4 (2014): e81552. Sangel, Percival, Masahiro Oka, and Yoshihiro Yoneda. “The Role of Importin-βs in the Maintenance and Lineage Commitment of Mouse Embryonic Stem Cells.” FEBS Open Bio (2014). Yamasaki, Sachiko, et al. “Generation of Human Induced Pluripotent Stem (Ips) Cells in Serum-and Feeder-Free Defined Culture and TGF-Β1 Regulation of Pluripotency.” PLOS ONE 9.1 (2014): e87151. Araki, Ryoko, et al. “Negligible immunogenicity of terminally differentiated cells derived from induced pluripotent or embryonic stem cells.” Nature (2013). Donai, Kenichiro, et al. “Establishment of a reporter system to monitor silencing status in induced pluripotent stem cell lines.” Analytical biochemistry 443.1 (2013): 104-112. Findlay, Greg M., et al. “Interaction domains of sos1/grb2 are finely tuned for cooperative control of embryonic stem cell fate.” Cell 152.5 (2013): 1008-1020. Fukusumi, Hayato, et al. “Feeder-free generation and long-term culture of human induced pluripotent stem cells using pericellular matrix of decidua derived mesenchymal cells.” PloS one 8.1 (2013): e55226. Furusawa, Tadashi, et al. “Characteristics of Bovine Inner Cell Mass-Derived Cell Lines and Their Fate in Chimeric Conceptuses 1.” Biology of reproduction 89.2 (2013). Hara, Emilio Satoshi, et al. “miRNA-720 Controls Stem Cell Phenotype, Proliferation and Differentiation of Human Dental Pulp Cells.” PloS one 8.12 (2013): e83545. Lou, Xiang-Xin, et al. “Reprogramming of Mouse Cochlear Cells by Transcription Factors to Generate Induced Pluripotent Stem Cells.” Cellular Reprogramming (Formerly” Cloning and Stem Cells”) 15.6 (2013): 514-519. Nishi, M., et al. “Induction of cells with cancer stem cell properties from nontumorigenic human mammary epithelial cells by defined reprogramming factors.” Oncogene (2013). Nishimoto, Masazumi, et al. “In Vivo Function and Evolution of the Eutherian-Specific Pluripotency Marker UTF1.” PloS one 8.7 (2013): e68119. Oka, Masahiro, et al. “Differential role for transcription factor Oct4 nucleocytoplasmic dynamics in somatic cell reprogramming and self-renewal of embryonic stem cells.” Journal of Biological Chemistry 288.21 (2013): 15085-15097. Ogaki, Soichiro, et al. “Wnt and Notch signals guide embryonic stem cell differentiation into the intestinal lineages.” Stem Cells 31.6 (2013): 1086-1096. Okumura, Noriko, et al. “β-catenin functions pleiotropically in differentiation and tumorigenesis in mouse embryo-derived stem cells.” PloS one 8.5 (2013): e63265. Shimozawa, Nobuhiro, et al. “Cynomolgus monkey induced pluripotent stem cells established by using exogenous genes derived from the same monkey species.” Differentiation 85.4 (2013): 131-139. Shofuda, Tomoko, et al. “Human Decidua-Derived Mesenchymal Cells Are a Promising Source for the Generation and Cell Banking of Human Induced Pluripotent Stem Cells.” Cell Medicine 4.3 (2013): 125-147. Skamagki, Maria, et al. “Asymmetric Localization of Cdx2 mRNA during the First Cell-Fate Decision in Early Mouse Development.” Cell reports 3.2 (2013): 442-457. Tang, Calvin Chun Man. 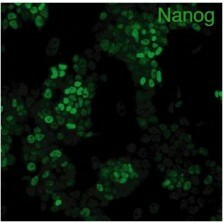 Nanog Regulates Chromatin Organization in Mouse Stem Cells. Diss. 2013. Tomizawa, Minoru, et al. “Activin A is essential for Feeder‐free culture of human induced pluripotent stem cells.” Journal of cellular biochemistry 114.3 (2013): 584-588. Tomizawa, Minoru, et al. “Survival of Primary Human Hepatocytes and Death of Induced Pluripotent Stem Cells in Media Lacking Glucose and Arginine.” PloS one 8.8 (2013): e71897. Yang, Hui, et al. “Generation of haploid embryonic stem cells from Macaca fascicularis monkey parthenotes.” Cell research 23.10 (2013): 1187-1200. Yoshioka, Yukio, et al. “Ectomesenchymal chondromyxoid tumor of the tongue: insights on histogenesis.” Oral surgery, oral medicine, oral pathology and oral radiology 115.2 (2013): 233-240. Zhao, Yang, et al. “Dual Functions of Hypoxia Inducible Factor-1 alpha for the Commitment of Mouse Embryonic Stem Cells Toward a Neural Lineage.” Stem cells and development ja (2013). Blij, Stephanie, et al. “Maternal Cdx2 is dispensable for mouse development.” Development 139.21 (2012): 3969-3972. Bradley, Eric, et al. “Regulation of embryonic stem cell pluripotency by heat shock protein 90.” Stem Cells 30.8 (2012): 1624-1633. Chen, Yi‐Hui, and John Yu. “Ectopic expression of Fgf3 leads to aberrant lineage segregation in the mouse parthenote preimplantation embryos.” Developmental Dynamics 241.11 (2012): 1651-1664. Cheng, Li-Tao, et al. “Cure of ADPKD by selection for spontaneous genetic repair events in Pkd1-mutated iPS cells.” PloS one 7.2 (2012): e32018. Egashira, Toru, et al. “Disease characterization using LQTS-specific induced pluripotent stem cells.” Cardiovascular research 95.4 (2012): 419-429. Hirano, Kazumi, et al. “3-O-sulfated heparan sulfate recognized by the antibody HS4C3 contribute to the differentiation of mouse embryonic stem cells via Fas signaling.” PloS one 7.8 (2012): e43440. Ichikawa, Hinako, et al. “Gene pathway analysis of the mechanism by which the Rho-associated kinase inhibitor Y-27632 inhibits apoptosis in isolated thawed human embryonic stem cells.” Cryobiology 64.1 (2012): 12-22. Iha, Momoe, et al. “Effect of ectopic expression of homeoprotein EGAM1C on the cell morphology, growth, and differentiation in a mouse embryonic stem cell line, MG1. 19 cells.” Reproduction 143.4 (2012): 477-489. Ishiguro, Tatsuya, et al. “Differential expression of< i> nanog1 and< i> nanogp8 in colon cancer cells.” Biochemical and biophysical research communications 418.2 (2012): 199-204. Morimoto, Hiroko, et al. “In vitro transformation of mouse testis cells by oncogene transfection.” Biology of reproduction 86.5 (2012): 148. Nagata, Shogo, et al. “Self-renewal and pluripotency acquired through somatic reprogramming to human cancer stem cells.” PloS one 7.11 (2012): e48699. Nishio, Miki, et al. “Cancer susceptibility and embryonic lethality in Mob1a/1b double-mutant mice.” The Journal of clinical investigation 122.12 (2012): 4505. Nishishita, Naoki, Chiemi Takenaka, and Shin Kawamata. “Generation, Maintenance, and Differentiation of Human iPS Cells from Cord Blood.” Human Embryonic and Induced Pluripotent Stem Cells. Humana Press, 2012. 113-131. Ohta, Kunimasa, Rie Kawano, and Naofumi Ito. “Lactic acid bacteria convert human fibroblasts to multipotent cells.” PloS one 7.12 (2012): e51866. Seki, Tomohisa, Shinsuke Yuasa, and Keiichi Fukuda. “Generation of induced pluripotent stem cells from a small amount of human peripheral blood using a combination of activated T cells and Sendai virus.” Nature protocols 7.4 (2012): 718-728. Singh, Amar M., et al. “Reconciling the different roles of Gsk3β in “naive” and “primed” pluripotent stem cells.” Cell Cycle 11.16 (2012): 2991-2996. Uchino, Keita, et al. “Human Nanog pseudogene8 promotes the proliferation of gastrointestinal cancer cells.” Experimental cell research 318.15 (2012): 1799-1807. Yamaguchi, Tomoyuki, et al. “Development of an all-in-one inducible lentiviral vector for gene specific analysis of reprogramming.” PloS one 7.7 (2012): e41007. Yamamizu, Kohei, et al. “Protein kinase A determines timing of early differentiation through epigenetic regulation with G9a.” Cell stem cell 10.6 (2012): 759-770. Yang, Hui, et al. “Generation of genetically modified mice by oocyte injection of androgenetic haploid embryonic stem cells.” Cell 149.3 (2012): 605-617. Araki, Ryoko, et al. “Crucial Role of C‐Myc in the Generation of Induced Pluripotent Stem Cells.” Stem Cells 29.9 (2011): 1362-1370. Chen, Hsin-Fu, et al. “Surface marker epithelial cell adhesion molecule and E-cadherin facilitate the identification and selection of induced pluripotent stem cells.” Stem Cell Reviews and Reports 7.3 (2011): 722-735. Demers, Simon-Pierre, et al. “Rat blastocyst-derived stem cells are precursors of embryonic and extraembryonic lineages.” Biology of reproduction 84.6 (2011): 1128-1138. Eiraku, Mototsugu, et al. “Self-organizing optic-cup morphogenesis in three-dimensional culture.” Nature 472.7341 (2011): 51-56. Hamanaka, Sanae, et al. “Generation of germline-competent rat induced pluripotent stem cells.” PloS one 6.7 (2011): e22008. Hirano, Kunio, et al. “Human and mouse induced pluripotent stem cells are differentially reprogrammed in response to kinase inhibitors.” Stem cells and development 21.8 (2011): 1287-1298. Kawasaki, Hideya, et al. “Mouse embryonic stem cells inhibit murine cytomegalovirus infection through a multi-step process.” PloS one 6.3 (2011): e17492. Mashayekhan, Shohreh, et al. “Embryonic Stem Cells Maintain an Undifferentiated State on Dendrimer-Immobilized Surface with D-Glucose Display.” Polymers 3.4 (2011): 2078-2087. Nagy, Kristina, et al. “Induced pluripotent stem cell lines derived from equine fibroblasts.” Stem Cell Reviews and Reports 7.3 (2011): 693-702. Nishishita, Naoki, et al. “The use of leukemia inhibitory factor immobilized on virus-derived polyhedra to support the proliferation of mouse embryonic and induced pluripotent stem cells.” Biomaterials 32.14 (2011): 3555-3563. Okada, Minoru, and Yoshihiro Yoneda. “The timing of retroviral silencing correlates with the quality of induced pluripotent stem cell lines.” Biochimica et Biophysica Acta (BBA)-General Subjects 1810.2 (2011): 226-235. Otsu, Masahiro, et al. “Uni-directional differentiation of mouse embryonic stem cells into neurons by the neural stem sphere method.” Neuroscience research 69.4 (2011): 314-321. Ohta, Shigeki, et al. “Generation of human melanocytes from induced pluripotent stem cells.” PloS one 6.1 (2011): e16182. Saito, Shigeru, et al. “Possible linkages between the inner and outer cellular states of human induced pluripotent stem cells.” BMC systems biology 5.Suppl 1 (2011): S17. Sasaki, Norihiko, et al. “LacdiNAc (GalNAcβ1‐4GlcNAc) Contributes to Self‐Renewal of Mouse Embryonic Stem Cells by Regulating Leukemia Inhibitory Factor/STAT3 Signaling.” Stem Cells 29.4 (2011): 641-650. Tateno, Hiroaki, et al. “Glycome diagnosis of human induced pluripotent stem cells using lectin microarray.” Journal of Biological Chemistry 286.23 (2011): 20345-20353. Takata, Yoko, et al. “Generation of iPS cells using a BacMam multigene expression system.” Cell Struct Funct 36.2 (2011): 209-22. Tomizawa, Minoru, et al. “Activin A maintains pluripotency markers and proliferative potential of human induced pluripotent stem cells.” Experimental and therapeutic medicine 2.3 (2011): 405-408. Wang, Bo, et al. “Reprogramming efficiency and quality of induced Pluripotent Stem Cells (iPSCs) generated from muscle-derived fibroblasts of mdx mice at different ages.” PLoS currents 3 (2011). Woltjen, Knut, et al. “Transgene-free production of pluripotent stem cells using piggyBac transposons.” Human Pluripotent Stem Cells. Humana Press, 2011. 87-103. Adachi, Keiko, et al. “Role of SOX2 in maintaining pluripotency of human embryonic stem cells.” Genes to cells 15.5 (2010): 455-470. Ahmed, Kashif, et al. “Global chromatin architecture reflects pluripotency and lineage commitment in the early mouse embryo.” PloS one 5.5 (2010): e10531. Hayashi, Yohei, et al. “BMP4 induction of trophoblast from mouse embryonic stem cells in defined culture conditions on laminin.” In Vitro Cellular & Developmental Biology-Animal 46.5 (2010): 416-430. Hayashi, Yohei, et al. “Reduction of N-glycolylneuraminic acid in human induced pluripotent stem cells generated or cultured under feeder-and serum-free defined conditions.” PLoS One 5.11 (2010): e14099. Kawamata, Masaki, and Takahiro Ochiya. “Generation of genetically modified rats from embryonic stem cells.” Proceedings of the National Academy of Sciences 107.32 (2010): 14223-14228. Nishigaki, Tatsuya, et al. “Cryopreservation of primate embryonic stem cells with chemically-defined solution without Me2SO.” Cryobiology 60.2 (2010): 159-164. Takenaka, Chiemi, et al. “Effective generation of iPS cells from CD34 cord blood cells by inhibition of p53.” Experimental hematology 38.2 (2010): 154-162. Lanner, Fredrik, et al. “Heparan sulfation?dependent fibroblast growth factor signaling maintains embryonic stem cells primed for differentiation in a heterogeneous state.” Stem Cells 28.2 (2010): 191-200. Zaehres, Holm, et al. “Induction of pluripotency in human cord blood unrestricted somatic stem cells.” Experimental hematology 38.9 (2010): 809-818. Tokumoto, Yasuhito, et al. “Comparison of efficiency of terminal differentiation of oligodendrocytes from induced pluripotent stem cells versus embryonic stem cells< i> in vitro.” Journal of bioscience and bioengineering 109.6 (2010): 622-628. Okada, Minoru, Masahiro Oka, and Yoshihiro Yoneda. “Effective culture conditions for the induction of pluripotent stem cells.” Biochimica et Biophysica Acta (BBA)-General Subjects 1800.9 (2010): 956-963. Fujioka, Tsuyoshi, et al. “Establishment of induced pluripotent stem cells from human neonatal tissues.” Human cell 23.3 (2010): 113-118. Hikichi, Takafusa, et al. “Functional full-term placentas formed from parthenogenetic embryos using serial nuclear transfer.” Development 137.17 (2010): 2841-2847. Ono, Tetsuo, et al. “Inhibition of class IIb histone deacetylase significantly improves cloning efficiency in mice.” Biology of reproduction 83.6 (2010): 929-937. Gonzalez, R., et al. “An efficient approach to isolation and characterization of pre-and postnatal umbilical cord lining stem cells for clinical applications.” Cell transplantation 19.11 (2010): 1439-1449. Tashiro, Katsuhisa, et al. “Adenovirus vector-mediated efficient transduction into human embryonic and induced pluripotent stem cells.” Cellular Reprogramming (Formerly” Cloning and Stem Cells”) 12.5 (2010): 501-507. Iijima, Saori, et al. “Effect of different culture conditions on establishment of embryonic stem cells from BALB/cAJ and NZB/BINJ mice.” Cellular Reprogramming (Formerly” Cloning and Stem Cells”) 12.6 (2010): 679-688. Shiozawa, Seiji, et al. “Gene targeting and subsequent site-specific transgenesis at the β-actin (ACTB) locus in common marmoset embryonic stem cells.” Stem cells and development 20.9 (2010): 1587-1599. Yamagata, Kazuo, et al. “Survival and death of epiblast cells during embryonic stem cell derivation revealed by long-term live-cell imaging with an Oct4 reporter system.” Developmental biology 346.1 (2010): 90-101. Shimozawa, Nobuhiro, et al. “Characterization of a novel embryonic stem cell line from an ICSI-derived blastocyst in the African green monkey.” Reproduction139.3 (2010): 565-573. Yamada, Mitsutoshi, et al. “Involvement of a novel preimplantation-specific gene encoding the high mobility group box protein Hmgpi in early embryonic development.” Human molecular genetics 19.3 (2010): 480-493. Akutsu, Hidenori, et al. “Maintenance of pluripotency and self-renewal ability of mouse embryonic stem cells in the absence of tetraspanin CD9.” Differentiation 78.2 (2009): 137-142. Gonzalez, R., et al. “A putative mesenchymal stem cells population isolated from adult human testes.” Biochemical and biophysical research communications 385.4 (2009): 570-575. Intoh, Atsushi, et al. “Proteomic analysis of membrane proteins expressed specifically in pluripotent murine embryonic stem cells.” Proteomics 9.1 (2009): 126-137. Sato, Hiromu, et al. “Stable generation of serum‐and feeder‐free embryonic stem cell‐derived mice with full germline‐competency by using a GSK3 specific inhibitor.” Genesis 47.6 (2009): 414-422. Takashimizu, Ikkei, et al. “Localization of Liv2 as an immature hepatocyte marker in EB outgrowth.” The Scientific World Journal 9 (2009): 190-199. Makino, Hatsune, et al. “Mesenchymal to embryonic incomplete transition of human cells by chimeric OCT4/3 (POU5F1) with physiological co-activator EWS.” Experimental cell research 315.16 (2009): 2727-2740. Nagase, Tomoko, et al. “Pericellular matrix of decidua‐derived mesenchymal cells: A potent human‐derived substrate for the maintenance culture of human ES cells.” Developmental Dynamics 238.5 (2009): 1118-1130. Nagata, Shogo, et al. “Efficient reprogramming of human and mouse primary extra‐embryonic cells to pluripotent stem cells.” Genes to cells 14.12 (2009): 1395-1404. Nakahara, Masako, et al. “High-efficiency production of subculturable vascular endothelial cells from feeder-free human embryonic stem cells without cell-sorting technique.” Cloning and stem cells 11.4 (2009): 509-522. Nakahara, Masako, et al. “Human embryonic stem cells with maintenance under a feeder-free and recombinant cytokine-free condition.” Cloning and stem cells 11.1 (2009): 5-18. Ohta, Hiroshi, et al. “Male germline and embryonic stem cell lines from NOD mice: efficient derivation of GS cells from a nonpermissive strain for ES cell derivation.” Biology of reproduction 81.6 (2009): 1147-1153. Woltjen, Knut, et al. “Europe PMC Funders Group.” Nature 458.7239 (2009): 766-770. Osakada, Fumitaka, et al. “Toward the generation of rod and cone photoreceptors from mouse, monkey and human embryonic stem cells.” Nature biotechnology 26.2 (2008): 215-224. Sumi, Tomoyuki, et al. “Defining early lineage specification of human embryonic stem cells by the orchestrated balance of canonical Wnt/β-catenin, Activin/Nodal and BMP signaling.” Development 135.17 (2008): 2969-2979. Susanto, Jimmy, et al. “Porphyrin homeostasis maintained by ABCG2 regulates self-renewal of embryonic stem cells.” PLoS One 3.12 (2008): e4023. Ueda, Shinobu, et al. “Establishment of rat embryonic stem cells and making of chimera rats.” PLoS One 3.7 (2008): e2800. Shiraki, Nobuaki, et al. “Guided Differentiation of Embryonic Stem Cells into Pdx1‐Expressing Regional‐Specific Definitive Endoderm.” Stem cells 26.4 (2008): 874-885. Toyooka, Yayoi, et al. “Identification and characterization of subpopulations in undifferentiated ES cell culture.” Development 135.5 (2008): 909-918. Sasaki, Norihiko, et al. “Heparan sulfate regulates self-renewal and pluripotency of embryonic stem cells.” Journal of biological chemistry 283.6 (2008): 3594-3606. Saeki, Kumiko, et al. “Highly efficient and feeder‐free production of subculturable vascular endothelial cells from primate embryonic stem cells.”Journal of cellular physiology 217.1 (2008): 261-280. Nakahara, Masako, et al. “A feeder-free hematopoietic differentiation system with generation of functional neutrophils from feeder-and cytokine-free primate embryonic stem cells.” Cloning and stem cells 10.3 (2008): 341-354. Mizutani, Eiji, et al. “Propagation of senescent mice using nuclear transfer embryonic stem cell lines.” Genesis 46.9 (2008): 478-483. Cui, Li, et al. “Structural differentiation, proliferation, and association of human embryonic stem cell-derived cardiomyocytes< i> in vitro and in their extracardiac tissues.” Journal of structural biology 158.3 (2007): 307-317. Hayashi, Yohei, et al. “Integrins Regulate Mouse Embryonic Stem Cell Self‐Renewal.” Stem Cells 25.12 (2007): 3005-3015. Hikichi, Takafusa, et al. “Differentiation potential of parthenogenetic embryonic stem cells is improved by nuclear transfer.” Stem Cells 25.1 (2007): 46-53. Tanaka, Yosuke, et al. “Forced expression of Nanog in hematopoietic stem cells results in a γδT-cell disorder.” Blood 110.1 (2007): 107-115. Wakayama, Sayaka, et al. “Efficient establishment of mouse embryonic stem cell lines from single blastomeres and polar bodies.” Stem Cells 25.4 (2007): 986-993. Yasuda, Shin‐ya, et al. “NANOG maintains self‐renewal of primate ES cells in the absence of a feeder layer.” Genes to Cells 11.9 (2006): 1115-1123. Wakayama, Sayaka, et al. “Equivalency of Nuclear Transfer‐Derived Embryonic Stem Cells to Those Derived from Fertilized Mouse Blastocysts.” Stem cells24.9 (2006): 2023-2033. Mallon, Barbara S., et al. “Toward xeno-free culture of human embryonic stem cells.” The international journal of biochemistry & cell biology 38.7 (2006): 1063-1075. Moriyasu, Kenta, Hironori Yamazoe, and Hiroo Iwata. “Induction dopamine releasing cells from mouse embryonic stem cells and their long‐term culture.”Journal of Biomedical Materials Research Part A 77.1 (2006): 136-147.